Brighten any space with warm, diffused light and keep furnishings from fading by covering your windows with these colorful, energy efficient cellulars. 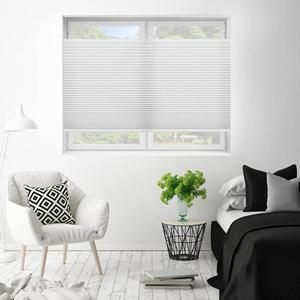 Fashionable ½” pleats in premium 100% spun lace fabric filter out up to 99% of damaging UV rays to keep you cool and comfortable while protecting your interiors from direct sunlight. Premier Double Cell Light Filtering window coverings help absorb noise and look great on any window. Color-coordinated components and fabric-covered rails come standard for a streamlined, cohesive look. And the white backing conforms to HOA guidelines for a uniform look from the outside. 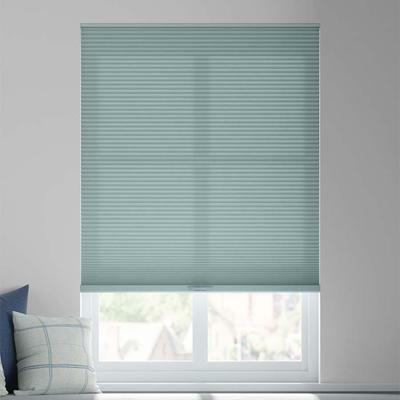 Available in single widths up to 120” for extra wide windows, these durable treatments are easily operated with your choice of lift system, including optional remote-controlled motorization (great for larger windows). Other feature upgrades include Top Down Bottom Up, Tri-Shades, continuous cord loop or Best for Kids Cordless Lift & Lock™ Top Down Bottom Up lift systems. Or go with either a standard corded lift or Best for Kids Cordless Lift & Lock™ at no extra charge. Corded top down bottom up lift option: Left cords operate bottom rail. Right cords operate center rail for top down. Standard inside mount brackets are top mounted. Side mounting brackets available upon request for shades less than 48" wide only. Products 12" wide and under have a max height of 80". Cordless Lift & Lock™ Top Down Bottom Up window treatments come with attached magnets and striker plates in center to provide tight closure. Striker plates on shades over 42” wide are approximately 4" from the edges. I have purchased blinds from SelectBlinds.com on two different occasions. Both times the blinds were well built and flawless. Installing them was easy and the directions were quite good. I did the measurements myself using instructions off the website and that went smoothly as well. 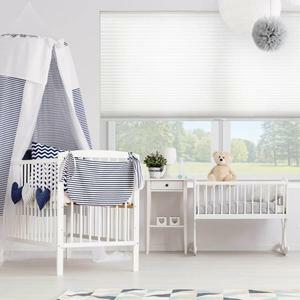 Purchased five blinds and love them! Very pleased with our double cell shades from SelectBlinds. They were easy to install and look great. Ours are the top/down, bottom/up version and they work very well. We ordered 23 cell shades of varying dimensions and they each came individually marked exactly as I entered on the order sheet. Made sorting and installing a breeze. We did have 2 small issues; one bad cord pull and one wall bracket not functioning properly, but after contacting SelectBlinds Customer Service we received new parts very quickly. I was impressed that with so many blinds that we only had those limited issues. I also went to Lowes/Home Depot to compare the more expensive Levelor and Bali cell shades and was very happy we chose SelectBlinds. They offer great discounts and free options that saved us a lot of money over those name brand cell shades. Only time will tell how they hold up to 2 small children, countless opening/closing and direct sunlight, but if initial impressions are any indicator i think we made a great choice. We plan to order more of these products in the future.